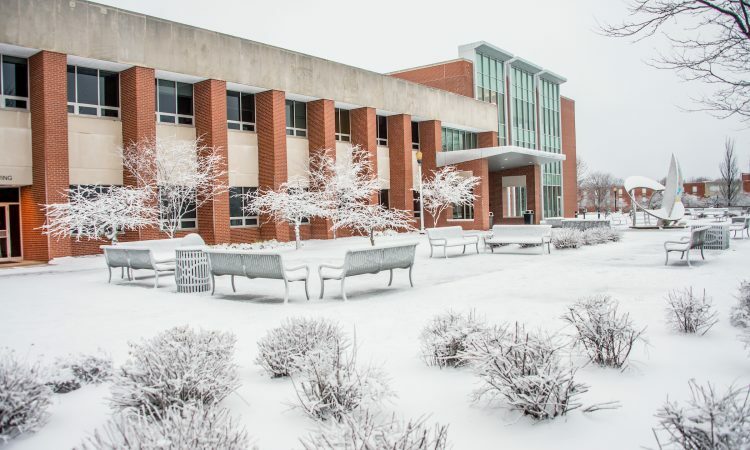 Due to the extreme cold and our concerns for your safety, the University of Indianapolis will be closed Wednesday (Jan. 30, 2019) and will remain closed through 10:00 a.m., Thursday (Jan. 31, 2019). Classes that begin prior to 10 a.m. on Thursday will not meet. Classes that begin at 10 a.m. or later on Thursday will take place as scheduled. We are actively monitoring the weather forecast and will be in regular communications with you if the University’s operating status changes. Essential personnel will be on campus and Dining Services (Schwitzer Student Center) will remain open. Indianapolis area media will also be provided with information about cancellations and/or delays. Dress in several layers, making sure head, neck and hands are covered. That means using those important winter accessories such as hats, gloves, scarves, face masks and boots. Limit traveling during cold temperatures/wind chills. Recognize the signs and symptoms of frostbite and hypothermia and seek medical treatment immediately if you believe someone is experiencing these medical conditions.